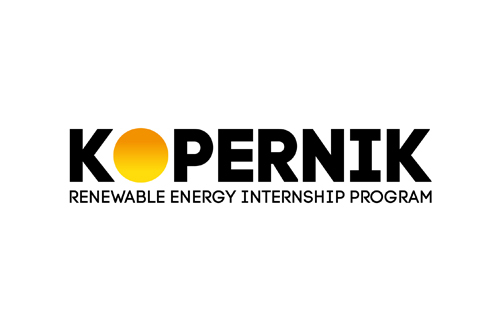 powergreen kicks off a third year of KOPERNIK, the Renewable Energy Internship Program it introduced in 2014 to mentor electrical engineering students in Qatar. This year, two students from Qatar University take up the 8-week program that will introduce them to the world of sustainable energy engineering. Placing the sun at the center of the learning program, powergreen gives students the opportunity to discover a range of clean energy applications through hands-on mini projects and a series of theory trainings. Having hosted students from Qatar University, College of the North Atlantic and Texas A&M University, KOPERNIK in 2016 continues to expand its program by introducing new areas of learning and increasing day to day participation of interns in project implementations. Eng. 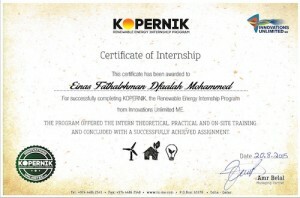 Rehab, who took part in the first edition of KOPERNIK shared her thoughts on the program: “The internship opportunity I had with KOPERNIK was a great chance for learning and for professional development. I consider myself a very lucky individual be part of it. I am also grateful for having the chance to meet so many wonderful people and professionals who led me though this internship period. I perceive KOPERNIK as a big milestone in my career development. I will strive to use gained skills and knowledge in the best way possible, and I will continue to work on their improvement to achieve my career objectives. Rehab came back to powergreen after her graduation to extend her training for personal advancement. She has since, gained an exciting position with a large corporation in Qatar where she continues to thrive. ElSherif, another student from the 2015 KOPERNIK batch went on to join Engineers Without Borders and used his training at KOPERNIK to participate in a humanitarian initiative that puts him at the heart of a team designing a solar PV system that will be deployed in a remote village in Nicaragua early next year. ElSherif continues to collaborate with his mentors at powergreen to ensure a flawless system design that he can carry out with his fellow philanthropists.